Support the body's energy and information flow with our range of solutions imprinted with proprietary bio-information. the physics of the body where the physical biochemistry and its quality are determined. Encoded with corrective information that helps the body return to its optimal blueprint for health and wellness, our unique line of Infoceuticals is based on our proprietary and extensive mapping of the human Body-Field over the past 30+ years. Each of our solutions is imprinted with specific bio-information. Their success lies in perfectly matching to a specific organ, system or sub-system of the body through our cutting-edge imprinting technology developed exclusively at our R&D center. The remedy lies in the imprinted information. Infoceuticals contain filtered water and plant-derived microminerals. These micro-minerals are the substance imprinted with the corrective bio-information. The imprinted information is immediately absorbed and the Infoceutical then interacts directly with the Body-Field. Infoceuticals help to restore the body’s balance, information and energy flow. We have found that the body´s resistance to herbs, foods, or therapies is often a function of compromised absorption or distorted information. What this means is that before the body can optimally respond to traditional or alternative healing therapies, we must first work on its ability to absorb and utilize the nutritional, energetic or allopathic medicine it receives. For this reason, Infoceuticals have been shown to be very effective in supporting and improving the effectiveness of a practitioner’s wellness approaches. Most importantly, Infoceuticals are safe, effective and easy-to-use. 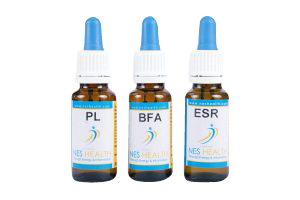 Our current line of Infoceuticals is only available via qualified and experienced healthcare practitioners and therapists who have completed training and earned certification in the NES Health WellNES System. These Infoceuticals are designed to properly power your Body-Field so that it can efficiently coordinate the complex functions of your physical body and enhance your overall energy and vitality. Each of these Infoceuticals correlates to a major organ or organ system and usually demonstrates priority within the body. These support the information pathways of our body. Each Integrator interacts with several major organs, tissues and systems in the body. The Energy Flow Infoceuticals have also been shown to increase clarity of mental functions and improve emotional elasticity and communication. 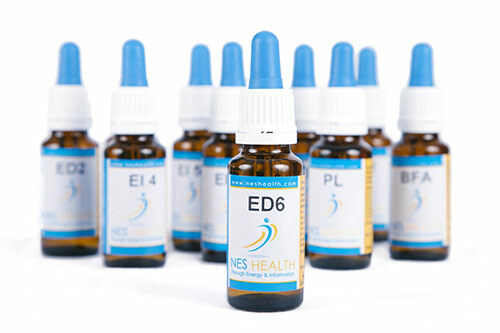 Infoceuticals are available in small bottles and are designed to be used at home, between visits or consultations with a NES Health WellNES System. Your clients can simply dispense the required number of drops for each Infoceutical into a glass or a bottle of water and drink it during the day. The drops can be taken safely and conveniently with any foods or nutritional supplements.